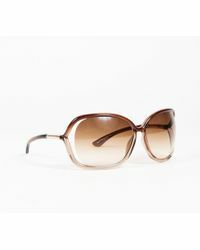 Exude style while lounging beside the pool in Tom Ford's Raquel sunglasses. 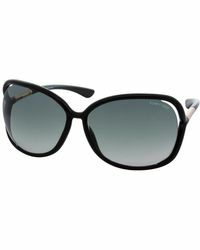 Crafted with a lightweight square-shaped plastic frame, this pair features signature metal T inserts on the tubular temples. 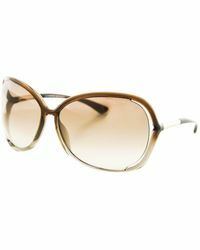 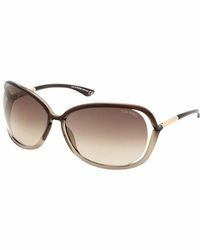 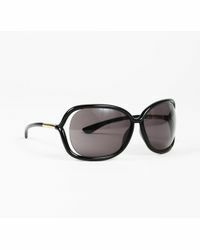 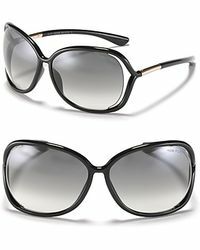 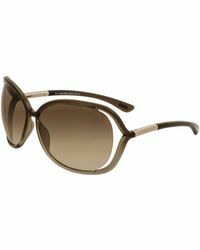 Built with gradient lenses that boast 100 percent UVA and UVB protection, these Italian-made sunglasses are complete with branding at the earpieces and stamped letters at the lens. 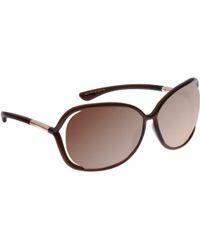 In black and brown with various coloured gradients, there is a style to match every look.